Eight artists have been given the chance to use an empty tower at Television Centre, the iconic former home of the BBC to showcase their work this summer. They were chosen from over 360 entries - with each artist or group briefed to create a unique experience in the 12 storey East Tower, which is due to be demolished later in the year, as part of the redevelopment by Stanhope of Television Centre. Another of the successful residencies will be the first live radio transmission on 13 July from the site since the BBC left Television Centre in 2013. Ed Baxter of Resonance FM is curating a series of live radio broadcasts from the tower, drawing on the history and fabric of Television Centre. The programme features Howlround, Resonance Radio Orchestra, Sam Conran and the 50-50 Sound System (West London Dub). The project is co-funded by PRS for Music Foundation and the Jerwood Charitable Foundation. Tickets to watch the live radio show on 13 July are free to the public and will be available at www.eventbrite.co.uk. An initiative of Rosie Boycott, Daisy Leitch and Eleanor O’Keeffe, 5x15 has played at the Tabernacle in Notting Hill since its inception with a cocktail of ideas and good company. This mix will be transported to the East Tower for one night on July 12th, with a line up including Olivia Laing on loneliness and cities, Booker-prize winning author DBC Pierre on how to write, and music from Emmy the Great. ResonanceFM, London's groundbreaking 24/7 art's radio station, will present an evening of live radio broadcasts. This special programme has been curated by Ed Baxter, and will be performed live in front of an audience in the Tower. Six distinct elements draw on the history and fabric of Television Centre. The programme features Howlround; Resonance Radio Orchestra; Sam Conran; and the 50-50 Sound System (West London Dub). The project is co-funded by PRS for Music Foundation and Jerwood Charitable Foundation. 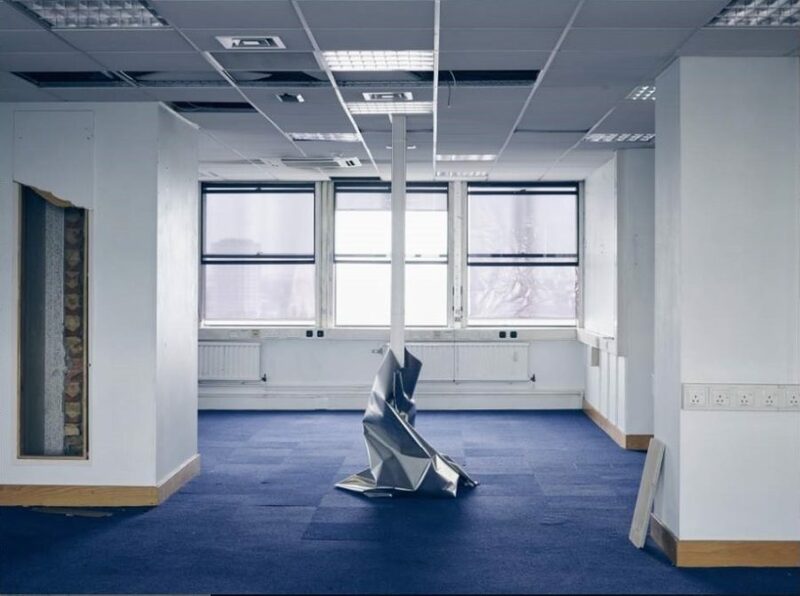 The White City research project which commissioned the works, will be managing the residencies over the next two months and providing updates, artist interviews and behind-the-scenes photography on its website. For more information on the eight residencies and how to apply for tickets please visit www.whitenoise.city.